Every bit of Worbla can be used, so make sure to never throw your scraps out! 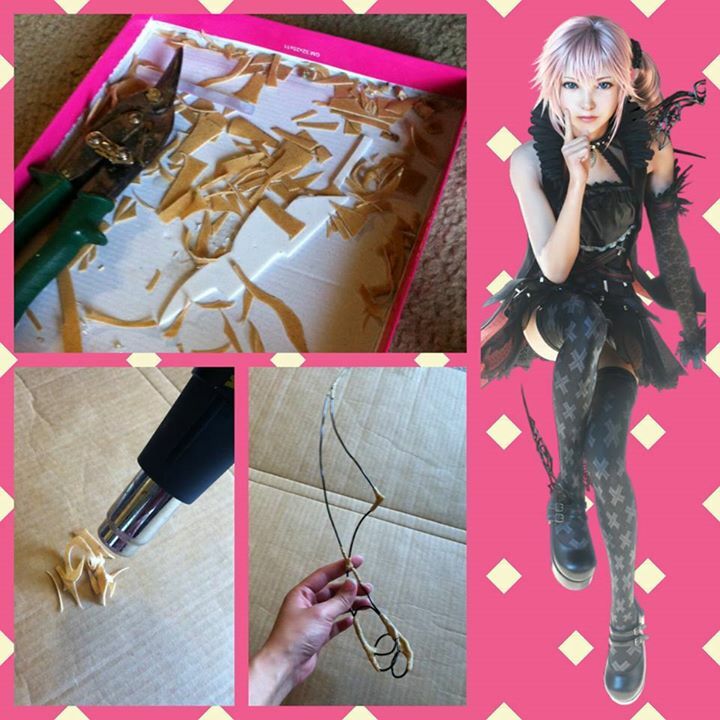 Below are a few ways to repurpose your Worbla scraps. FC Cosplay gave us this quick tutorial on forming your scraps back into sheets with help from a pasta roller. Scrap Worbla: I keep everything from larger pieces that don’t fit smaller pieces to shavings that come off cleaning up edges.. Anything I can’t immediately reuse gets cut down and tossed in a plastic bag while I work. Pasta Maker: Choose a pasta maker that is intended for actual regular use in a kitchen. It doesn’t have to be fancy and you don’t need extra attachments. Initially, I used a pasta maker packaged for use with polymer clay, but it turned out to be flimsy and a crucial part (that adjusts the thickness) wore out quickly. You can also get a far greater variance in thicknesses with kitchen-ready pasta makers. 1) Attach your pasta maker securely on a stationary table or counter. 2) On a heat-resistant surface (aluminum foil, cardboard), lay your scrap Worbla out flat but slightly overlapping so you have one big piece that would fit the horizontal limit of your pasta-maker. Avoid laying the scraps down too thick – i would say no more than 3 layers. 3) Heat the Worbla as per normal (it should have a fruit-roll-up tackiness to it) and run the Worbla through at a relatively thick setting (this varies from machine to machine – i’d say anywhere between 2-3mm thick is fine). It’s ok if there are holes; just reheat the sheet and fold the Worbla over, running it through again until you’re happy with the consistency. 4) Adjust the pasta maker to produce successively thinner pieces as needed. 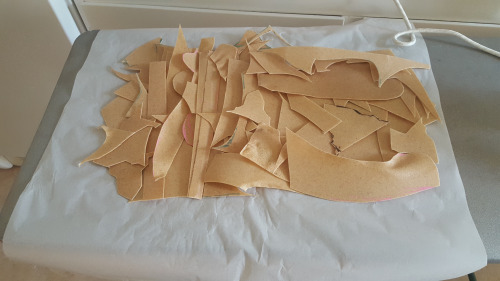 This process may create some wrinkling in your sheets of scrap Worbla, but this can be mostly fixed by reheating where necessary. A bag of roughly 1-1.5kg in scrap tends to generate maybe five or six long strips of 1mm Worbla. If you use permanent marker on your Worbla like I do, you’ll probably also notice some streaking. This is normal and doesn’t affect use of the material at all. Kamui uses her scraps to make sculptural elements, and things like bracelets. To help keep your fingers from getting burned while working with heated Worbla, try working with gloves, or dipping your fingers in water before handling the Worbla. Raven Wei shows how she used scraps for her Lumina’s delicate heel and shoulder embellishments. 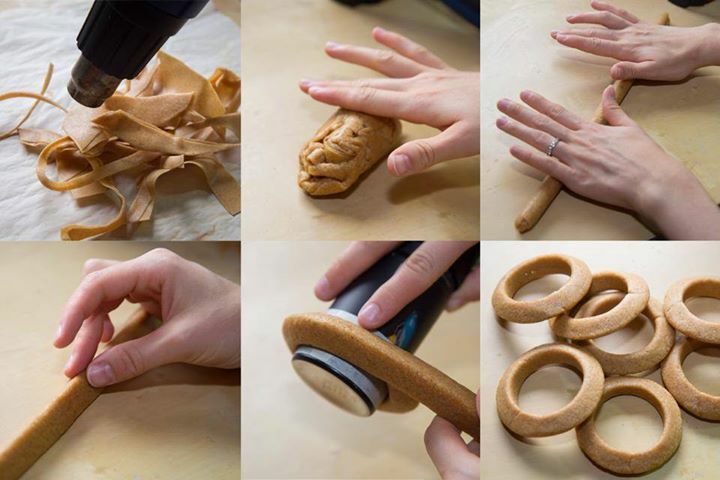 Heat your scraps (carefully) and you can mold them together into a putty that can be wrapped around forms, carved, shaped and sanded. 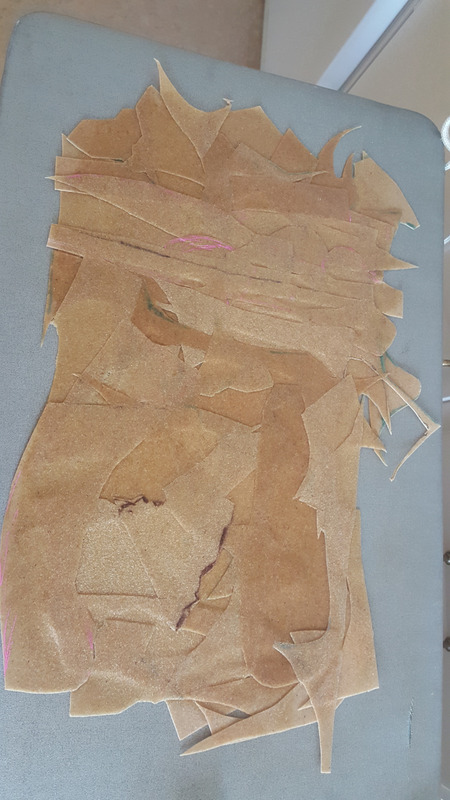 Atashi Cosplay shared this video showing the process of recycling her scraps. 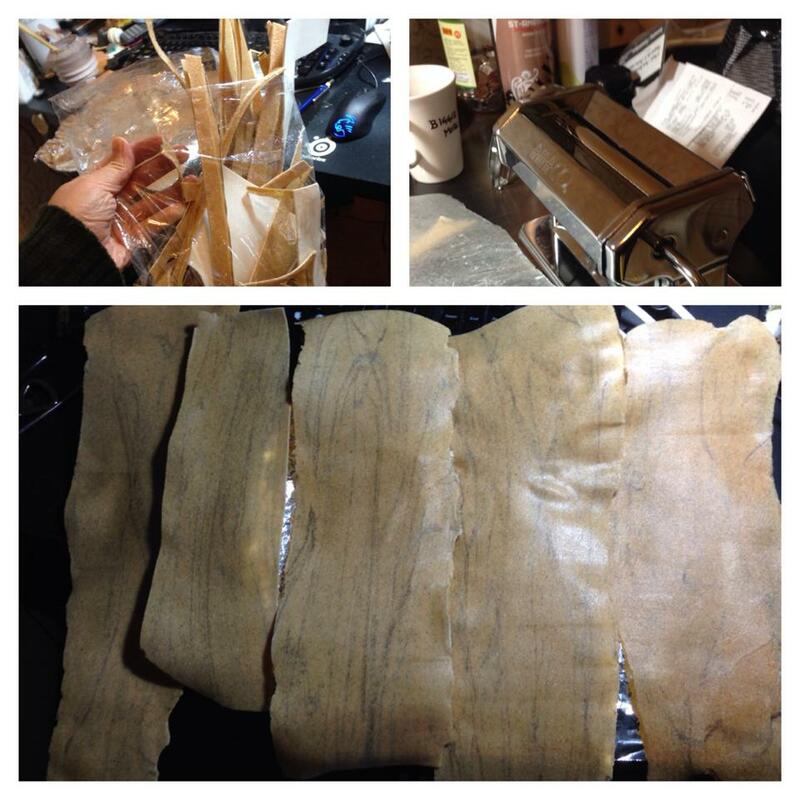 Valerei shared this method of making new Worbla sheets without needing a pasta roller. take all those scrap pieces you have, remember to never throw away even small pieces, because they can always be used for other things! Put them together in a way that they cover a big area and doesn’t have any gaps between them. 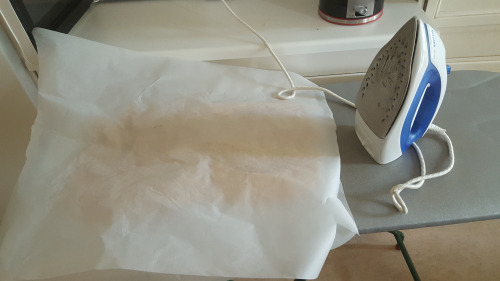 put some wax paper both over and under the worbla(I used paper that you cut out patterns with, but I think wax paper is the right choice here), and then get your iron. 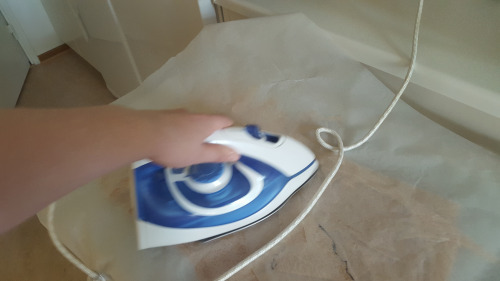 Try out what temperature works the best with your iron, I had to use the warmest setting on our iron. 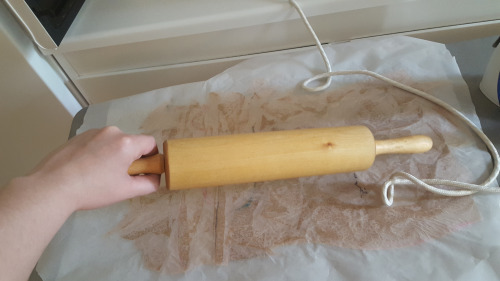 now get out that rolling pin of yours and start rolling! Repeat step 4 and 5 until you get a result that you are pleased with. This might take some time depending on how picky you are with the result. let it cool down a bit, then remove the paper and VOILA! a kinda flat piece of worbla! it IS more flat than it looks here, I promise!